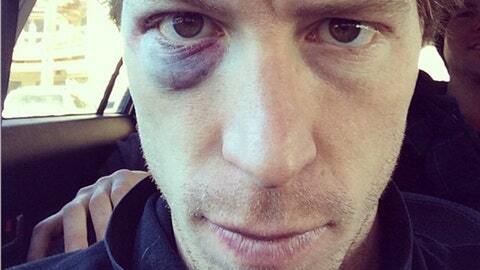 Don’t worry, Shaun White fans; the snowboarding superstar isn’t injured, he’s a just a little bruised. The Olympic champion showed off a brutal black eye on Twitter. Apparently, White wiped out in training this week in Colorado. Maybe it was a good decision to drop out of the Winter X Games, after all? White’s Canadian competition, Mark McMorris, took a nasty fall at the X Games, breaking a rib. He plans to be healthy in time for Sochi, too.